That theme has rung true this week, and that statement has sounded clear a few times this week. Oh I have so much to tell you all! 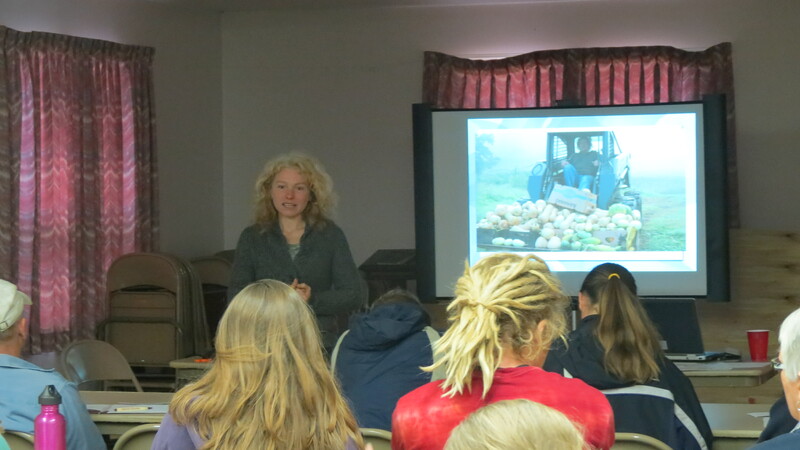 We also had a wonderful Farmer to Farmer workshop here at the farm. There were close to 40 participants from all over the state. The high tunnel was part of the workshop. Our hot water heater stopped working early in the week, so Rob spent some time fixing it. Hot water is back, so nice! 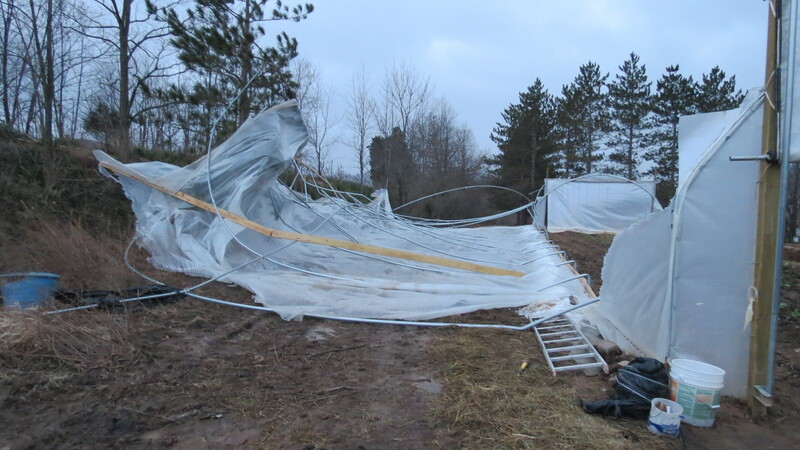 Our high tunnel took a huge spill this week too. This is what it looked like just hours after our workshop. So we picked up the pieces and life goes on. I would like to thank all of the volunteers that helped us clean up! We are trying to negotiate a reasonable and satisfactory solution with Grower’s Supply, a division of Farmtek. We will keep you all updated with any progress on this. We had a seed starting class on Saturday Morning. 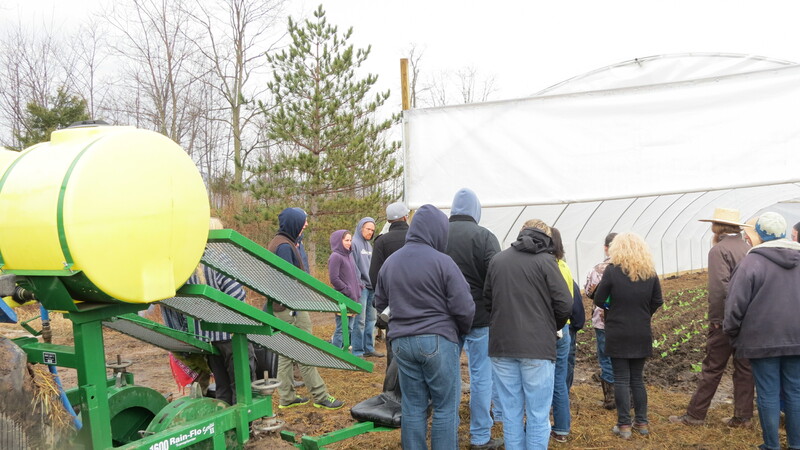 We worked with seeds and seedling transplanting then Saturday afternoon we had Open Farm for tours of the farm. It was great to meet all of our new farm members and show you what we do here1 Thanks everyone for the support you give! We are putting up another cold frame so we have a place for all of the beautiful lettuce that’s growing here right now! It will also be placed over our hot water heating pipes, so we will have some warmth during the really cold nights. That has worked out really well for us this winter. This week our hens have been laying oodles of eggs! 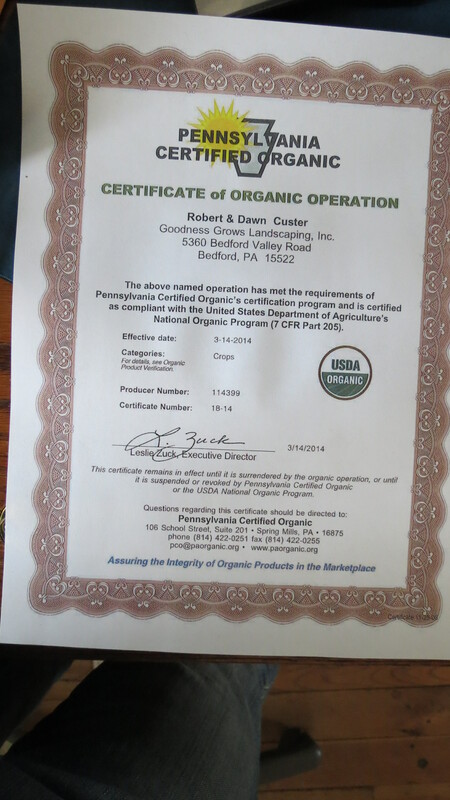 We are placing an order for peeps with Myers Poultry Farm. They are located in South Fork, PA. We plan to pick up the peeps, rather than have them go through shipping, and if you want to add to our order, we’ll pick them up. The benefits of a combined order and reduced shipping will save $$$ so consider placing your orders with us. I would like to have our peeps before Easter, so we have plenty of time to prepare for them. I’m so glad the ides of March have passed….Whew!